"Such a serious issue of national security, radicalisation and terrorism is also being sacrificed at the altar of pure vote bank politics,” the Union Law Minister added during a press conference. New Delhi: The BJP on Wednesday claimed that radicalisation in Kerala has emerged as threat to the national security. 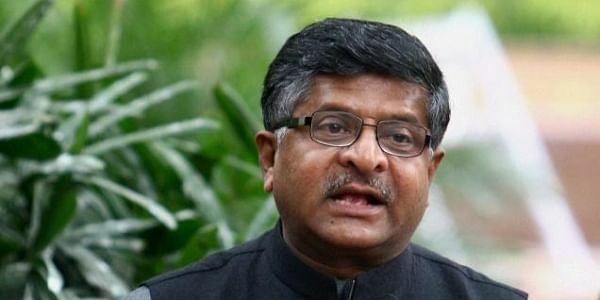 Union Minister for Law Ravi Shankar Prasad claimed that in the name of faith the issue of national security could not be compromised, while stating that “Love Jihad” is part of drive of terrorists to radicalise youngsters. The minister warned the Kerala government not to compromise the issue of national security by being lenient with the functionaries involved in radicalisation. “In the name of vote bank politics of the Left parties, the issue of national security and terrorism are being compromised. The media reports have exposed scale of radicalisation taking place in Kerala and involvement of PFI,” Prasad charged. The minister also stated that radicalisation done in the name of “Love Jihad” is a serious issue, which needs extensive investigation by the National Investigation Agency (NIA). Prasad also stated that the possibility of invoking the Unlawful Activities Prevention Act could not be ruled out due to alarming scale of radicalisation taking place in Kerala. While replying to a question on the issue of a particular faith being targeted by the right wing groups in the name of “Love Jihad”, the minister said that the national security concern is most important for the country. The BJP has also been raising the issue of political violence in Kerala against party activists and RSS functionaries. The saffron outfit recently took out a fortnight long yatra in Kerala, which was flagged off by the BJP chief Amit Shah.